Do you get plenty of sleep but still struggle to find the energy to get through the day? We all know that yogurt and other dairy products are good sources of calcium, which is great for bone health. However, yogurt is also an excellent energy-booster. This protein-packed snack will leave you feeling full and energized for hours. 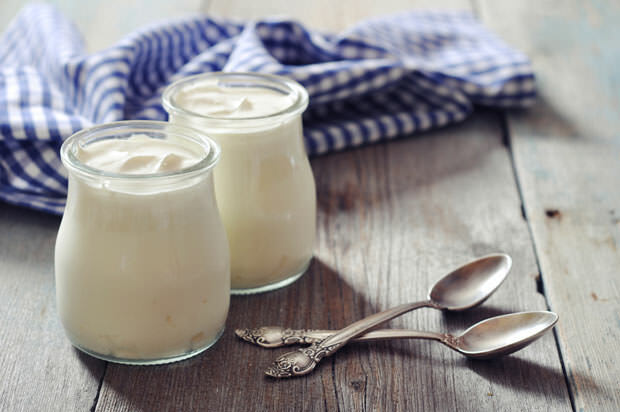 To maximize the energy benefits, go Greek: Greek yogurt often has twice the protein compared to regular yogurt. It also typically has less sugar, which means you won’t crash from a fading sugar high later. Yogurt is perfect as a pre-workout snack or as a quick pick-me-up for that 2:30 p.m. slump at your desk.